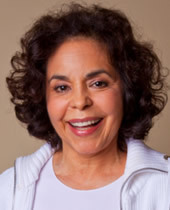 On February 23, 2012, at age 71, Emelina Edwards published Forever Fit and Fabulous: A Guide to Health and Vigor – Even at 70 and Beyond. Equal parts fitness guide and motivational memoir, Emelina’s book gives her readers the tools for attaining greater physical strength and emotional satisfaction as they grow older… and wiser. Her own life experience revealed valuable lessons that she knew were too important to keep to herself and with this book she shares that knowledge. Using exercise as a platform for broader life changes, Emelina targets women with the message that it’s never too late to live the life you want. Fitness didn’t always come naturally to Emelina. At 46, she found herself wrestling with a series of personal setbacks and physical ailments, including severe depression. But she developed a therapeutic routine that combined aerobic exercise with strength training. Her physical activity fortified her mind and body, building the foundation for a rewarding career and joyful life. Buoyed by her personal success, Emelina launched a new career as a personal trainer. For the next 25 years, Emelina taught classes and published articles on weight training, nutrition and stress management. She appeared on TV and radio shows, presenting her innovative program to a national audience. Emelina teaches her clients not to accept physical decline. Her “radical aging” philosophy holds that age brings strength, independence and beauty. Her clientele, mostly women over 40, are often looking for a new path in life, in addition to a healthier body and mental outlook. And with a second book now in development, Emelina continues to broadcast her message of health and hope to the world. Emelina Edwards… Peoples Health Champion.